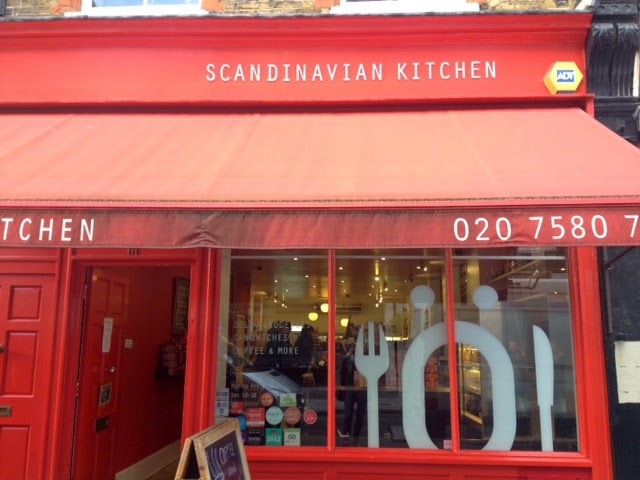 The UK's biggest Scandinavian Kitchen and grocery store according to its website, this cafe sits a few streets from Oxford Circus in London. 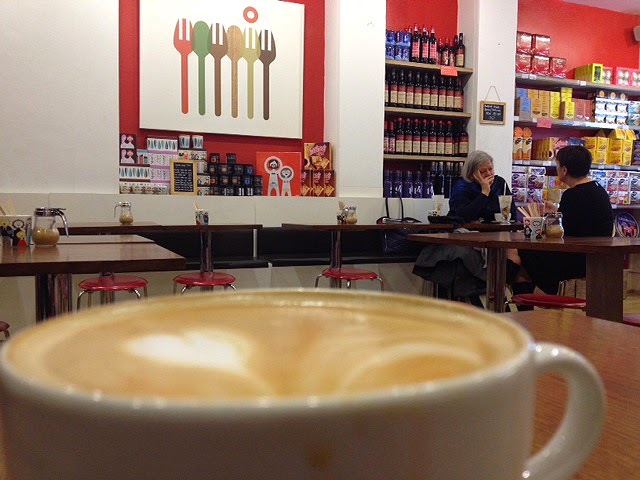 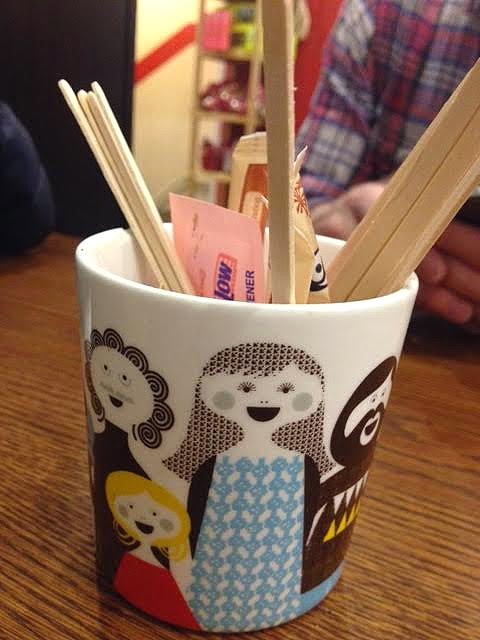 Its bright red exterior welcomes customers to its cafe full of traditional cheese, pastries and Daime bars. 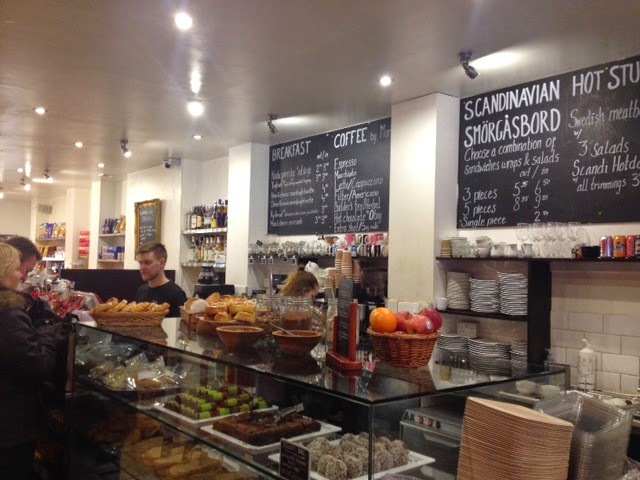 During the day it serves smorgasbord - a buffet-style selection of small hot and cold Swedish dishes, with the likes of meatballs and hotdogs on the menu, as well as gravadlax and smoked meats. 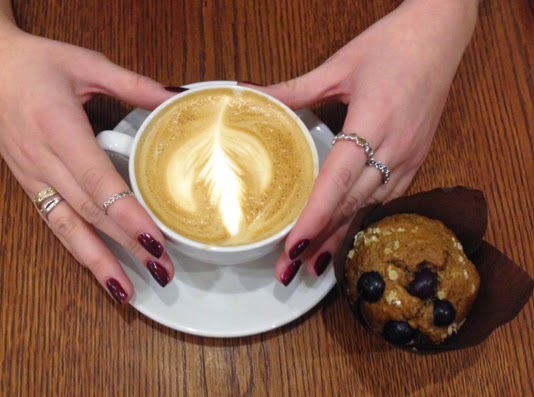 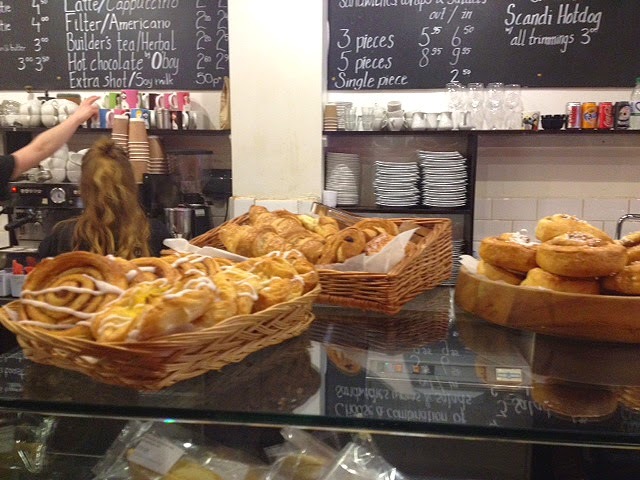 While for breakfast, you have a simple selection of pastries, muffins, toasties as well as porridge. 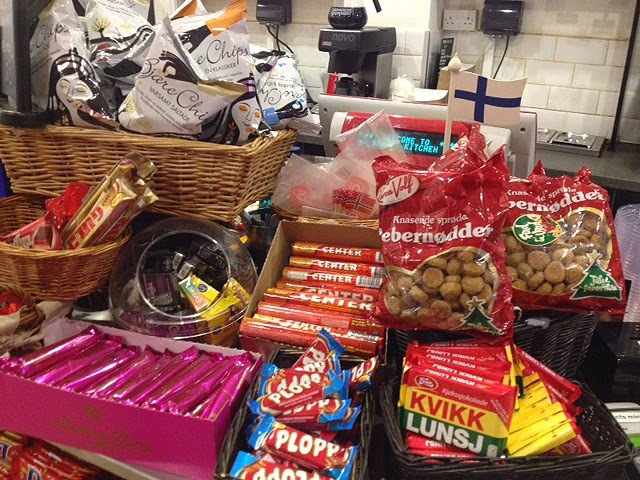 A scattering of tables and chairs sit next to a little deli housing Swedish specialties, while Scandi chocolate bars are piled up next to the till. 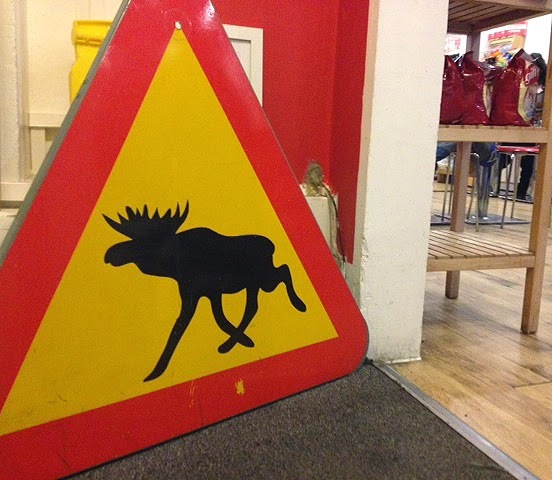 It's a bright cafe, the red theme continuing inside, with Ikea-style simple furniture and Nordic designs lining the walls - my favourite had to be the road warning sign of an elk propping open the door which leads downstairs to the bathrooms. 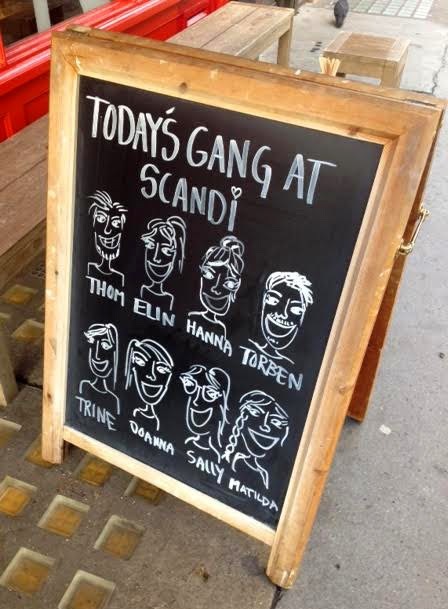 Early on a Friday morning, and slightly hungover, my friends and I decided on cheese and ham toasties and coffee to perk ourselves up, while we could resist a few sugary additions in the form of pastries and Scandi-chocolate. 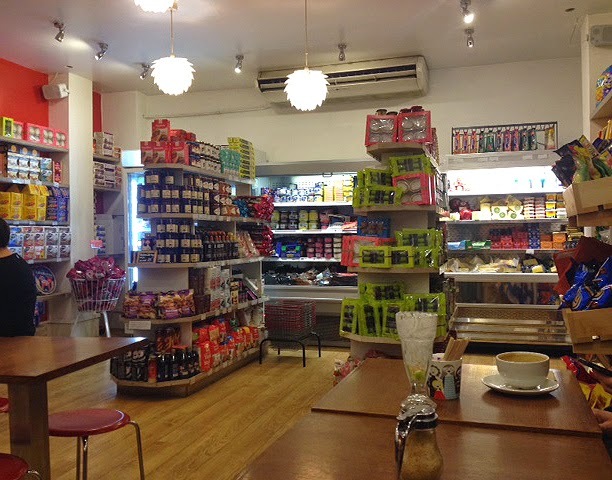 Who says you can't eat a Daime bar at 8.30 in the morning? 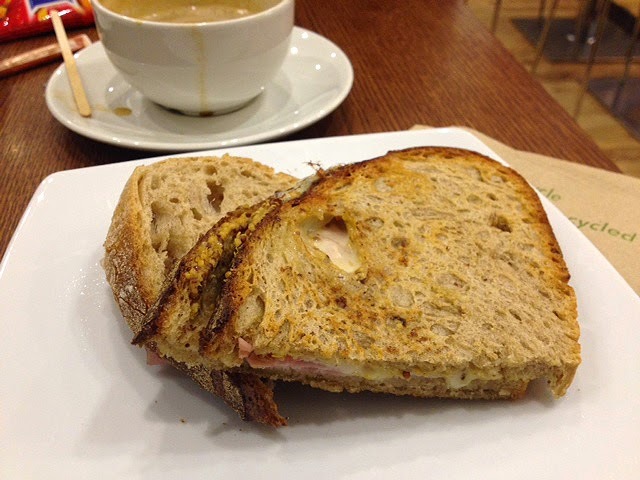 The coffee was strong but the cheese was stronger, enveloped by crunchy brown bread and ham - my friend even ordered a second to take to the office. 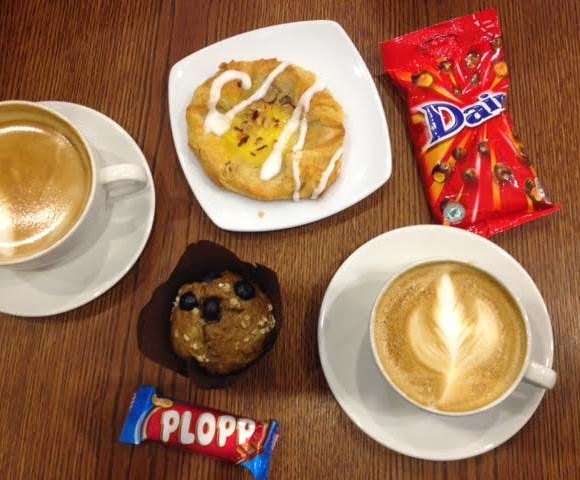 But my other companion found that he wasn't a fan of his 'plopp' bar!